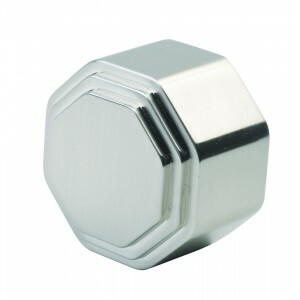 These are contemporary handrail end caps with a shiny chrome finish. Chrome finishes are particularly reflective as they are brighter than most other finishes. 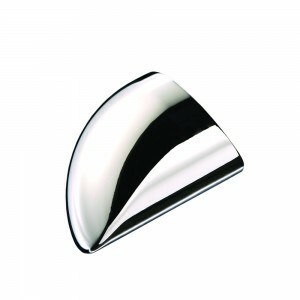 The chrome surface is given a very high polish to provide a beautiful mirror smooth finish. The colour of a Polished Chrome bracket is almost white and the shiny look of Polished Chrome hardware is generally considered to be very modern and would suit a contemporary design theme very well. Modern chrome brackets that match these end caps are also available.